Whenever we go to a Chinese restaurant I am drawn to the Chow Mein section of the menu. I know it sounds boring but I do love this style of Chinese food. I have tried many times to capture the same authentic flavour and have never quite made it but not this time! this dish tastes divine. It is very authentic and, if anything, actually tastes better than the ones I have eaten in a restaurant. The recipe is very easy but, as with all Chinese recipes, make sure you have all the food prepared beforehand as the cooking takes no time at all and many end results are spoilt because someone has to chop a food and the rest is overcooking in the wok. 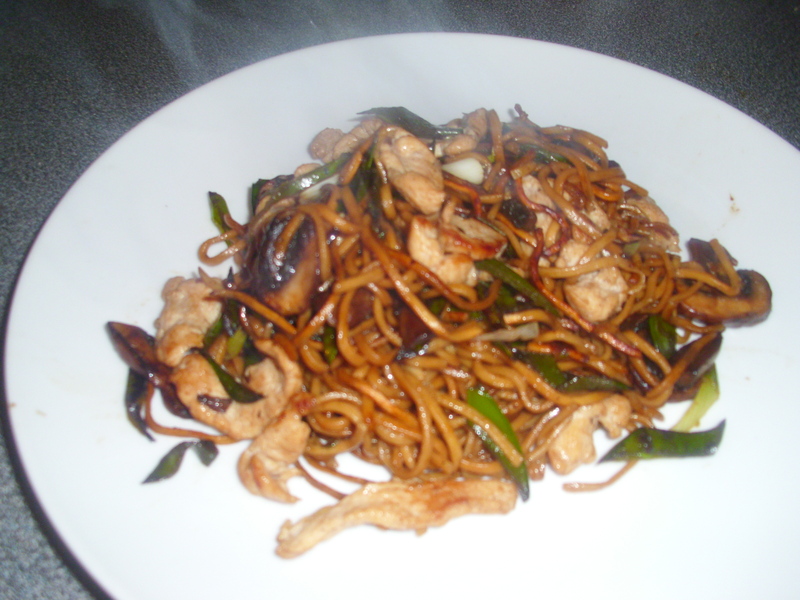 The word means ‘fried noodles’, chow meaning ‘fried’ and mein meaning ‘noodles’. The pronunciation chow mein is an English corruption of the Taishanese pronunciation chāu-mèing’.